Great snapshots! I agree it's getting dark toooo soon. Beautiful earrings and love your anniversary picture. Have a great day! Looks like such a great week. I still love that photo of you and Gary. Those earrings are so beautiful. GREAT SHOTS! I should start playing this meme. For some reason when we are in school I put down my camera for days. My mother tells me I have to much to do to do the things I want to do. I'm going to make an effort this week to take pictures everyday. Happy, Happy Anniversary!!!!! So how long have you been married? Another week of beautiful compositions, taken perfectly. I'll repeat what I said on Thursday, the Hibiscus is stunning. I love your format for blogging your Project365 photos. the candy in the locker was sweet! You are so right about it getting dark early. Here it is only just after 4pm and definately getting dark. Love that wee flower - so pretty as are your earrings. Did you get them for your anniversary? I agree that it is getting dark way too early, but I love the picture. Nice picture of you and Gary. Happy Anniversary. Gotta say- that coffee is looking pretty good!!! 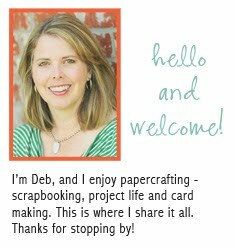 Beautiful week Deb- hope you guys are having a fabulous weekend! Wonderful collage! I agree that it is getting dark way too early! Love those earrings! And the photo of you and Gary is great! I love the hibiscus shot, wonderful images and collage. It is getting dark way too early! 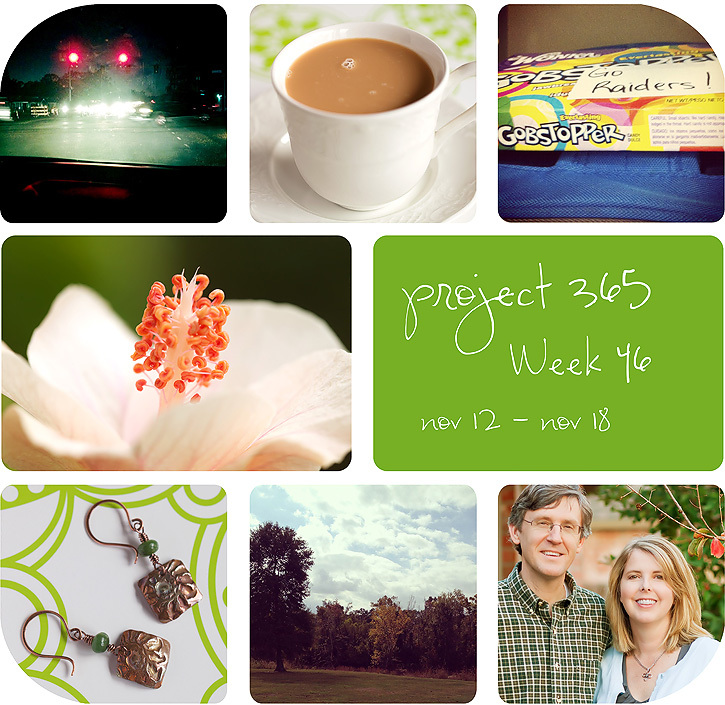 3:30p from where I stand :) Looks like it was a good week - I love the layout of your collage!! Great shots ...and yes, dark way too early! Oh yes, dark way too early! Looks like you had a great week. Hope you have an even better one this week. I love that hibiscus shot. Also, Happy Anniversary! Love that hibiscus! And great photo of you guys on your anniversary! Hi Deb I found you via Becky and bookmarked you but just noticed you are a fan/student of Karen Russell too. I have just finished her class. I love how you gave blogged these photos. Is this a template? That flower is amazing and love the anniversary shot. You make a cute couple ;0) Congrats on the Project Life design team too. How exciting for you!